Color and Spices: Ilish...The Hilsa..
Hilsa or Ilish is the most popular fish among the benaglis. This oily fish(the oil is the secret behind its taste) has always been on the top of the popularity charts, and that makes it very expensive too. 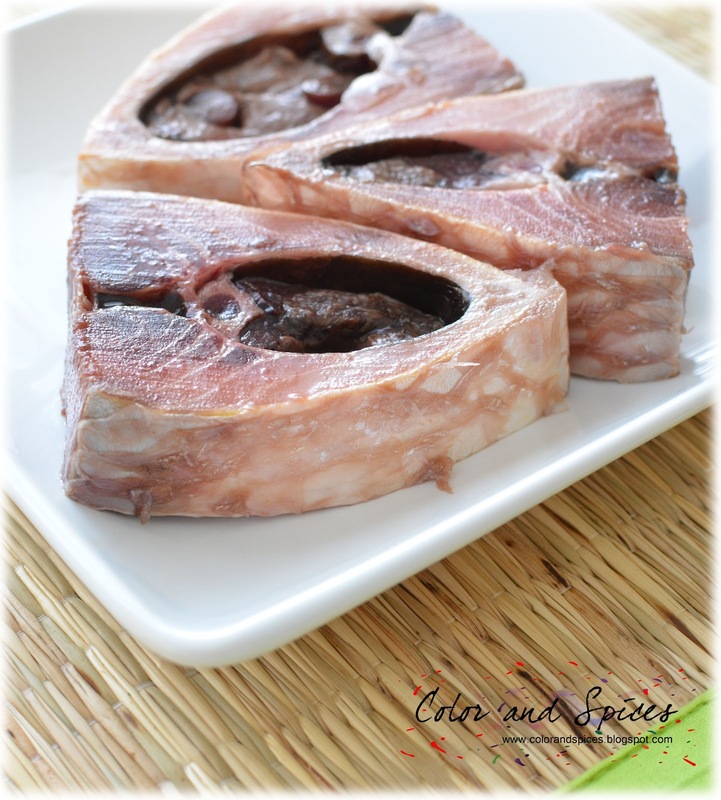 Monsoon is the season for Ilish. Ilish is a sea fish but during monsoon(month of June-July) it travels into the river to lay eggs. People consider that the best(read tastiest) Ilish is found in the Padma river in Bangladesh. There are various different ways you can cook Ilish, from simple fried Ilish to curries or wrapped in banana leaves etc. Even the fried intestine of this fish is a delicacy and is eaten with white steamed rice.As Ilish is a very oily fish it requires very little oil to cook. The oil used to fry the fish gets all its flavor and is served with steamed rice and a hot green chilies. Even the fish head is cooked in so many different ways, and it is considered a delicacy. And there are many more... may be it will cross 100..!!! 1.Clean the fish, but do not wash the fish under running water. If you wash it too much then you will loose the taste. 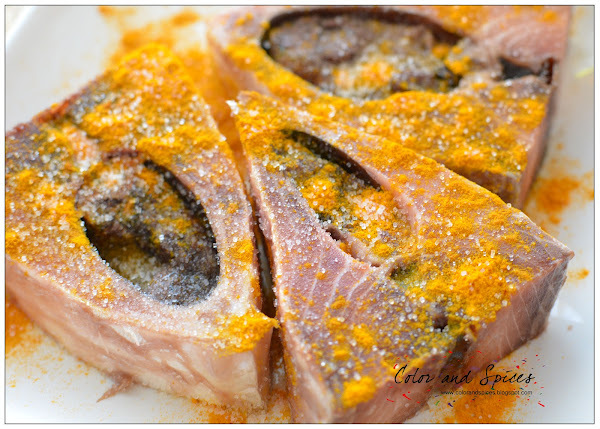 2.Marinate the fish with salt and turmeric powder, let it stand for 30min. 3.Take a kadai or pan add mustard oil. 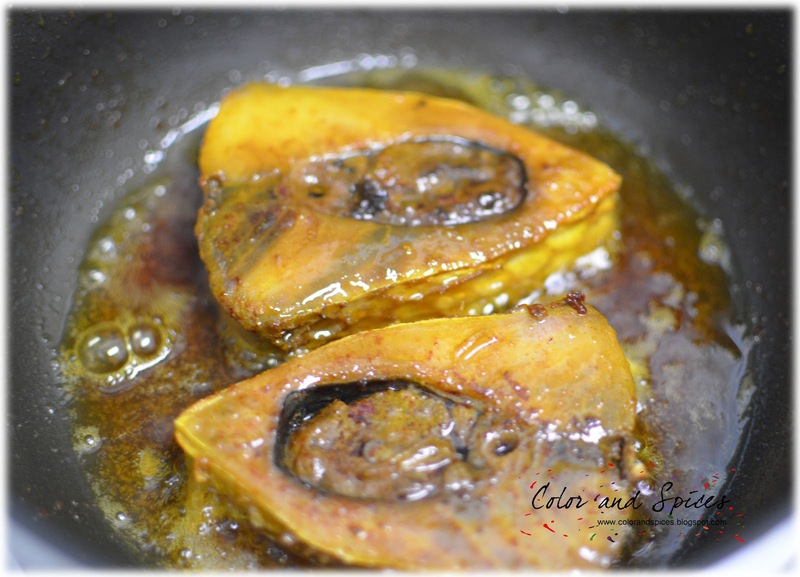 Very little oil is needed to cook Ilish, as it releases oil when you will fry it. 4.When the oil is hot add the fish, and fry till crispy and brown in color. This ilish mach bhaja(fried Hilsa) is served with hot steamed rice. Take out all the oil left in the pan in a separate bowl. 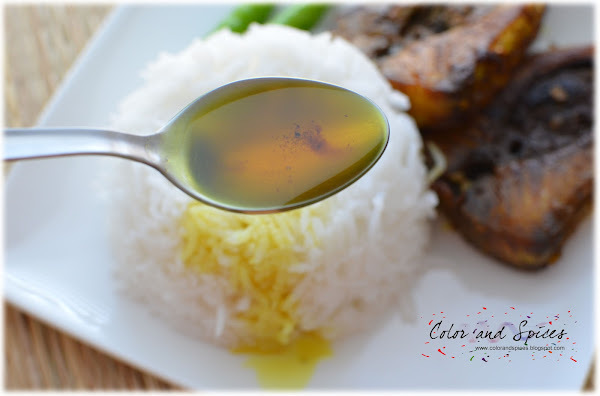 This oil is a delicacy, it is mixed with rice with a pinch of salt and eaten along with green chilies. If the fish has egg(roe), either you can fry it along with the fish or fry it separately. The fried Hilsa fish eggs (roe) is again a delicacy.